Being held in Copenhagen, Denmark, the MASCC/ISOO 2015 Annual Meeting will spotlight excellent science and cutting edge research aimed at enhancing the lives of people coping with cancer. In a few short years, MASCC/ISOO annual meeting​s have developed a reputation for providing the most current data and innovative techniques with regards to how best minimize therapy-induced side effects and complications associated with cancer. Significant advances in cancer treatment in the last two decades have been made possible by the strides in supportive care. By joining colleagues from around the world, June 25-27 2015, you will gain access to the latest knowledge and have the opportunity to contribute your own insights to this important discussion on all aspects of cancer care. MASCC/ISOO Annual Meeting has selected a variety of hotels, close to the Meeting venue, to suit all budgets and special requirements. For excellent rates and to book your stay in Copenhagen, we invite you to visit our easy-to-use accommodation website. 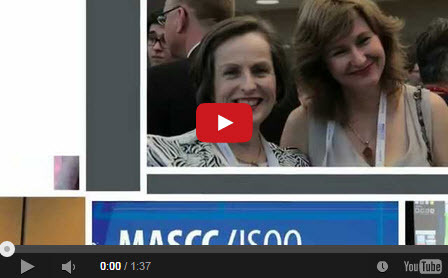 Benefit from a rich scientific program at the next MASCC​/ISOO Annual Meeting. Highlighted sessions include 'Challenge your Expert"; specialized workshops; poster viewing and discussion sessions, Pro et Con debates and much more.